The Philippine Coast Guard (PCG) is trying to contain an oil spill that is already affecting a river in Carmen, Davao del Norte. The PCG said that an oil spill incident took place at Davao Packaging Corporation (DAPACOR) compound near Ising River in Carmen Wednesday, March 6. Approximately 10,000 liters of blended fuel could affect the river and nearby bodies of water if the incident would not immediately be contained, the PCG said. As of Thursday, March 7, the PCG said that its team was able to collect 10 drums of oil and recovery would continue. 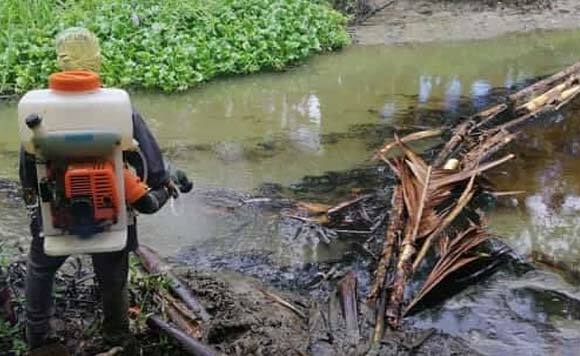 The PCG personnel also laid down two oil spill boom to contain the oil from spreading.